What does marketing and Health and wellbeing have in common? As a public health and wellbeing (H & W) specialist with over 15 years in public health and workplace wellbeing roles why my interest in marketing? Well it is quite simple really. Both functions are in effect ‘selling’ something. Both use levers to influence ‘buy in’ from target markets. Both look at behaviour change principles. In health and wellbeing circles I may term selling as ‘engagement’, in marketing terms it may be ‘leads or selling’. Marketing looks at USP’s and the psychology of buying – what makes us tick. That is interesting. How can Public Health / Workplace health programmes tap into the way people think and try to ‘nudge’ healthier habits? H&W seeks the same objective in a none commercial sense but has a rather hard time trying to sell an ‘intangible’ – a vision in effect. For example ‘you engage in this consistent behaviour (for example 10,000 steps a day) and you will reduce the chances of X,Y and Z health condition by X % 10 years down the line’. What does that mean to someone in the present? The problem with this is the selling of a vision. When it comes to H&W, long term vision doesn’t give people instant satisfaction as is achieved when, for example, a new i-phone or car is purchased. People like instant benefit. Being part of a H&W brand or an association with a ‘brand’ that aligns with their values and social standing is one way we can hit some sort of instant satisfaction. On the plus side H&W is a very personal issue to approach and therefore interest in one’s health is almost an endorsement of genuine care and responsibility to help people achieve that positive health outcome. A brand for a campaign (thing the NHS’s change 4 life) or an internal workplace H&W programme is key in my experience. H&W maybe shrouded by evidence base, hard stats and behavioural science (but that is for professionals like myself to know, it may be boring for the target audience – not always but mostly). On the outset a H&W brand needs to be fun, social, engaging and highlighting benefits to being involved not necessary features. I expand on this later in the article. In a workplace H&W programme creating this feeling of care through wanting to support employees health can invoke feelings of value, aid employee retention and recruitment, reciprocate good performance from employees feeling privileged to work for a caring company with lots of benefits. In essence a H&W brand is creating a USP for the Employer to set itself apart from competitors and other recruiters battling for the best talent. See where I am going with this? Not only does H&W offer improved individual health outcomes but can also be plugged right into hard business objectives. So the articulation and narrative to ‘sell’ H&W can learn from the some of the ethical tactics marketers deploy around brand identity, social proof, relevancy and reciprocation. For a successful H&W campaign who is the audience, what are the barriers and what is the USP? – all legitimate questions. The same principle can be applied with getting ‘board engagement’ in investing in a H&W programme, a focus on more hard business benefits than features. Marketing offers some great insights here. For example when selling a product avoid descriptions on features but focus on the benefits to buying it, or investing in it. Marketing doughnut offer a great example here ‘A feature is simply a characteristic of your product or service, such as a kettle with a 2000-watt heating ring,” explains Guy Aston, SME director at sales training company Huthwaite International. For H&W and public health programmes this raises the following question. What solution are we offering for a specific need? Of course weight loss is a good one to target, but the solution needs benefits. For example a consistent approaching to moving more will result in weight loss (accumulating effects). Or is the ‘real’ benefit to the individual that beach body? Is that the motivation – if so the narrative needs to tap into that. Another example, “climbing the stairs everyday at work over the course of a year is the equivalent of climbing Mount Everest 5 times”! That may appeal to some people. Focusing on the larger benefit is a better approach for highlighting a sense of achievement rather than let’s say ‘3 flights of stairs burns 12 calories’. Such a small benefit is likely to reinforce the notion to the person of ‘what’s the point’. This is a good example of describing population benefits that will resonate with public health commissioners in getting them to commit to, and fund specific projects and campaigns around increasing activity levels everyday to 10 minutes. Audience specific you see. Another benefit over feature example – when looking at trying to encourage more people to walk or cycle short journeys instead of the car in urban areas consider time as the ‘sell’. I was involved in a project where we changed street signs from distances to local amenities to time for walking or cycling in minutes. That was an instant benefit to someone as it was often quicker to walk or cycle considering a cars average speed is 5-9mph in UK cities (add parking / cost significantly more time). Another example is around the UK Chief Medical Officer guidelines on recommended physical activity levels. Time bound – 30 minutes moderate x 5 times a week. Then the play on time. So x 3 lots of 10 minute exercise bouts at a higher intensity (adding up to the 30 minutes) meets the recommendation. Much more realistic to folk when shorter in time. And can be spread out throughout the day. Then there is social proof. The tendency to see an action as more appropriate when others are doing it normally works quite well. As a rule we will make fewer mistakes by acting in accord with social evidence than contrary to it. Usually when a lot of people are doing something, it is the right thing to do. Take the big trend on mental health in the workplace and the introduction of mental health (MH) first aiders as one proactive approach to supporting an environment conducive to listening and support around MH issues. A huge swathe of companies are doing it and so it has created a sector movement with more employers embracing the agenda. An example of Social proof in action impacting on a sector not only an individual level. I can offer examples around my H&W programmes where certain employees have embraced a change around exercise, who previously were quite anti-exercise. By using gentle ‘nudges’ and creating an environment where physical activity was an easy choice (through varied opportunities and communication) that person has changed their habits. Those around that person (especially quite influential peers) are more likely to conform and adopt some of those behaviours (for example lunch time walks or using the stairs over the lift). This may then lead onto active commutes, walking meetings etc. Of course a policy environment that facilitates this and Board level encouragement are both key (a different article may be) to cause this effect to take place. Another look at decisions people take are around commitment and consistency (1) A great example. Below. “Two Canadian Psychologists uncovered something fascinating about people at the race track: Just after placing a bet, they are much more confident of their horse’s chances of winning than they are immediately before laying down the bet”. Of course nothing about the horses chances have changed, same horse, track in the same field; this relates to our desire consistent with what we have already done. Once we have made a choice or taken a stand, we will encounter personal and interpersonal pressures to behave consistently with the commitment. Those pressures will cause us to respond in ways that justify our earlier decision. So some of the Health and wellbeing levers to ‘nudge’ people into better habits consistent with improving health outcomes might be pledges. Pledges were used in stop smoking campaigns – an example in Beeston, Leeds using promises of smoke free homes (SFH) where pledges increased SFH from 35 % to 68% and 90% of people said they were keeping to their promises 3 months after (2). It could be suggested that using a health pledge has some degree of influence on encouraging commitment to a goal and falling into the theory above. A pledge to walk more maybe or achieve the 30 minutes physical activity recommendations 5 days a week. One thing that remains intrinsically linked between health and marketing is the focus on people and behaviours. The difference is the ‘commercial’ approach of marketing and the more ‘social’ approach of H&W. H&W approaches and public health can learn a lot. It also gives clear opportunities for both functions to work alongside each other in a business setting for mutual benefits. That is the value of H&W to lever a Business brand into different networks and audiences that could lead to more business leads. And for H&W using the expertise of marketing to develop internal branding for Workplace H&W programmes that help to engage and influence people. A programme that people want to be associated with – creating an instant recognition of being involved in it. The more H&W programmes tap into other business functions the more traction it has. And remember if there is one thing all marketers can agree on – human interest stories (that H&W is a catalyst for) gives a carousel of content and powerful marketing collateral (case studies / images) around employee activities – boosting Employer brand and investor relations linked to Corporate social responsibility objectives. I have only skimmed the surface of a huge topic area drawing parallels with the behaviour change of both functions and how both can work together for multiple benefits spanning business and social objectives. See my other articles on the link with pay & benefit, Employer brand and HR. Re-modelling the employee experience. From on-boarding, induction, culture – health and wellbeing (H&W) can be one of the tools to help achieve business aims by creating positive employee experience journeys. Why does this carry WEIGHT in the boardroom? The employee experience is a key driver in enhancing brand and reinforcing business values. At a business to business level it is a way to create a customer facing brand that in normal business operation wouldn’t exist. I am writing this short article to pin point specific business advantages of investing in Health and wellbeing beyond reducing the impact of absenteeism, specific ROI and long term cost savings. Those figures are available and hard facts. But the indirect benefits of H&W are sometimes missed by Public Health professionals. The sorts of things that make the ears prick up of the Board when Health and wellbeing is spoken about in a specific business context have to be relevant to the strategic objectives of that organisation. Linking H&W with overall business strategy is the most vital thing you can do. Health and wellbeing approaches fall short when they are approached with a one size fits all approach. To be truly inclusive an approach needs to define its audience and pick out the relevant ‘touch points’ that will engage people. This goes for the boardroom too. Now this could be at an employee level (behaviour change led initiatives – time to talk, encouraging physical activity), influencing culture change through small nudges to change employee behaviour, or at board level. Business strategy. What is the business seeking to achieve (increased sales, expanding into new markets, recruitment drive? To create ‘relevancy make sure a H&W Business case ties in with this. How does it support sales increases? What are the links with the proodcut/service? Brand value / Mission statement. Sometimes this is harder to pin point but H&W will always have a link. Articulate this. A vision is often a good way to find the link. Competitive recruitment markets. The power of social media and voice in attracting the best talent, and retaining talent using pay and benefits, employer brand and working policies conducive to health and wellbeing. Employees are the number one asset to any business. Highlight this. Know your personalities. What characters have you on the board? What are their interests outside and inside of work? Again remain relevant to their values and key interests. The value of been seen to be doing ‘good’. As a business a positive and forward thinking Organisations with a reputation around valuing their staff can quickly form place based networks in none traditional markets, opening up new business opportunities for future growth. Becoming a voice and champion on Health and Wellbeing. Another great way to add visibility to overall brand exposure. Carving out an expert voice in learning from what works and doesn’t in successful H&W approaches will do wonders for opening up new networks and opportunities. H&W activity should extend to offer opportunities outside of work through events with a fun / social theme. To maximise these events extend this to include family and friends of the employee. Who doesn’t like to have a free opportunity to give someone else for a company they work for? Powerful. Most organisations are always seeking ways to improve collaboration, communication and performance. H&W strands every one of these key business metrics. Use them to bolster the H&W proposition. Link the H&W strategy to wider CSR objectives. Be connected to your local and regional public health & community network to find out about the plethora of activity already going you can link in to. Often for free. Human Resources as a department and role is a rapidly changing business function stretched across a wide remit aside from its everyday core operating tasks; employee engagement, employee disputes, health and wellbeing, pay and benefits and so on. H&W can contribute to many of these extra tasks. There are no doubts that modern working environments have improved drastically from those of previous eras. Coming from a former mining town, generations of my family spent times underground working in conditions that would be unthinkable right now. In today’s world our working environments are much better. Technology has made communication easier and improved business functions from efficiency, speed even creating new markets for business to service and innovate. But the core, meaningful and purposeful values still exist for employees that some of these advancements have impacted on, in my view negatively. Communication. Social media, instant messaging and email are amazing tools. In some ways my job relies on it. For the younger generation there is a push to provide opportunities for re-establishing those meaningful social interactions in real time. Technology can sometimes serve as a distraction. In business taking time to visit your colleague in person should be encouraged. Connecting the H&W activity to this agenda – collective groups completing an activity together whether that be exercise in whatever form, shared interest or a conversation. All these opportunities are a way to nudge these behaviours. As a species we rely on social connection. The old working men’s clubs or social clubs of time gone by; a place people congregated together outside of work coming together to dance, have some drinks all helped to forge a sense of community. The corporate outings that include families are hugely powerful at connecting people. To some extent we have lost this. Examples of some of my H&W activities have been weekend shorter and longer walks for families, free bouncing sessions and trampoline parks for employees, family and friends, learning to dragon boat and so forth. Activities based around fun. Creating a voice beyond traditional business network. At one time cycling was never ever an option as a feasible mode of transport. Especially in business. Slow, unsafe and a lack of carrying capacity. Let’s not forget ‘sweating’, lycra and not been able to get on public transport with bikes should you need to. And if you turned up on a bike at work you got some odd looks and were labelled that ‘eco warrior’ type. That was 20 years ago when I first started commuting by bike in Wakefield working as a mechanic. A job involving cars, amongst colleagues cycling to work was just radical! In business I use multi-mode transport options full 40 mile work commutes (on a mountain bike in winter / road bike in summer ) and a highly versatile fold up bike for shorter commutes (Urban journeys) mixed with public transport gives me easy regional spread and National access. Bear in mind these bikes are my choice you need not spend a lot, and if your employer has the cycle to work scheme use that for more savings if you can. So what is the reaction now when I rock up with a bike? Very different. I purposely use the fold up bike as a prop as it can go in meetings with me and workplaces I visit and is a powerful statement. I don’t always wear lycra or top end bike clothing I purposely wear business attire where I can. This proves you can do business whilst riding a bike. You now find people naturally gravitate to you. Intrigue brings them to ask where you have come from, the bike, the distance you have come etc. People are interested, generally. At business networking events it can get you over that hurdle of speaking to new people. I recently visited the Sheffield City Region Mayors dinner with Doncaster Chamber. I cycled the 12 miles there on a dark evening in full suit and took the bike into the venue. Spoke to lots of interested folk. The bus was my late transport back. The Mayor Dan Jarvis is big on active travel. I work and manage Health and Wellbeing strategy for a private sector Organisation in North Sheffield, work on the Leeds City connect super cycle highway and work in the Public Sector in physical activity programmes. It gives me good grounding across public health, Workplace approach to health and actively travelling the regions network great insight. I also struggle with time like everyone but have discovered the key to unlocking more time is utilising the way we travel for physical activity (walking included). Then exercise isn’t an add on chore after a long day at work and home is beckoning. Fuel cost and of course not contributing to already high air pollution levels is, well ethically the right thing to do. Next I want to set the scene with two statistics relating to how inactive we actually are as a nation and some very surprising bad air quality hotspots – featuring Yorkshire (particularly in Doncaster) and my top tips for cycling (forming habits). Or behaviour change as the academic world label it. Leeds took the worst place outside of London and I was very surprised at Hickleton in Doncaster featuring as the third worst area for pollution – somewhere I live and commute around by bike. Sheffield also ranked highly. Then there is inactivity with many of us sat down on average 8.9 hours a day. Throw in the mix work, family and personal time commitments exercise gets pushed down that priority list – you can see how 25% of people do less than 30 minutes a week of physical activity (11.3 million people) – source: Sport England. A host of health repercussions and costs to the NHS – NICE (National Institute for Health and care excellence estimates 1£1 billion a year from inactivity alone. Or according to Copenhagen, the International Sport and Culture Association (ISCA), the UK ranks the highest across Europe in the inactivity states. One of our most basic tools to be more active and fight against air pollution is altering the way we move. Of course electricity production, energy consumption for home & work environments, meat and farming all factor in to air pollution, but by moving around actively we limit our transport emission contribution. By tackling our overuse of cars we hit two priority areas; increasing physical activity, the individual and community benefits of doing so and lessening our impact on local air quality levels. Time – across urban centres cycling is often quicker. Consider Leeds (11.25 mph), Sheffield 10.44 mph and Bradford 10.08 mph). You can walk at 3.5 mph quite easily. Cycling at 12 mph is considered fairly easy for beginners with little training – and your fitness levels soon improve. So even at 12 mph you could be ahead of every car in the 10 cities listed below. That’s not taking into account getting to the car park and getting out of the car park – all time consuming we fail to factor in when using the car. Pack everything the night before (you may be up earlier and faffing about looking for things which will only create a bad experience) You will get quicker at this. When you arrive at work / destination feel proud. And the endorphins from the exercise will help you feel energised. If Night cycling take 2 light batteries (factor in winter they drain power quicker when it is cold). Make sure the second battery is accessible so you can change quickly. Use phone light to do this. If you can’t shower and you are sweating arrive 10 mins early and cool off outside before you enter a static building that will aid sweating. Hydrate obviously. Spare shirt if you are conscious about sweat patches – or cycle in a breathable top. Wet wipes for a quick once over (these are realities). Oil chain on bike frequently / check tightness of nuts and bolts. Locally there will be lots of initiatives on routes / cycle training etc. Sustran’s are a good starting point initially. 9. Spread the word let your social media contacts know. Cyclists are the least exposed to air pollution on daily commutes into a congested city centre, research has shown. People in cars and buses spent longer in toxic air, as did walkers unless they made detours to avoid main roads. Source: James Tate, University of Leeds. Walkers use green routes where possible to reduce air pollution exposure. The work, conducted in Leeds, supports the investment in cycle lanes to both reduce air pollution by cutting vehicle journeys and improve citizens’ health. It also found that air pollution reached relatively high levels inside cars, echoing a recent warning that cars are “boxes collecting toxic gases”. Cycling improves mental well-being. Cycling makes you happy: fact. Already the Sheffield City region Mayor is on the case focusing on active travel as is the Doncaster get moving project (looking at physical activity culture) and Leeds have a dedicated active travel team (walking / cycling). B.Braun Medical have included offering e – bikes to employees through SYT, have a cycle roadshow in March and guest speaker Deborah Cundy talking about her journey in cycling as a total beginner. Walking also features in their Health and wellbeing programme for employees. I also sit on the Sheffield Chamber Health and wellbeing Forum as vice chair with Westfield Health for business where Peter Kennan has presented on his work on the Sheffield City Region transport strategy which features active travel. And to conclude as if we didn’t need any more evidence to use the car less and transform our travel habits consider the graphic below. This is an article about Health and Wellbeing in the workplace and its role across business function to help shape HR policy, enhance pay & benefit function, aid employee engagement and that all important “employee experience’ that Employers must manage. But first of all I want to set the scene particular in a workplace and business context – it’s important. Remember the good old days ‘of a job for life’. Local Government was probably the Employer of choice for my generation with the attraction been pensions schemes, job security and stability combined with good career progression. Rebuilding a house of Health and Wellbeing (see graphic above) is one way to help offset other benefits lost in a changing and dynamic economy. This isn’t a scathing attack on Local Government but a perspective on Employer brand which impacts on recruitment retention, recruitment and talent attraction. The HR function has such a broad range of challenges and expectation to deliver on from an ever changing employee landscape within a policy framework that needs to accommodate changing work practices. What should have happened to negate these cuts to public service is an overhaul of the pay and benefits structure, incentives and building a proposition that makes LA attractive again in the face of it losing the strength of its job security and pension assets. In my experience (this isn’t with every LA), many are failing to meet the expectation of the millennial and next generation of workers. A secret weapon is adopting a Health and Wellbeing approach which looks at working environment, culture, external and internal marketing, pay and benefits and that all important social strand outside work. Remember the good old work social clubs – are they the next big thing in a different guise in terms of Employee offer? See my other article here which goes into more depth on H&W and business function links – Health and Wellbeing ‘Its none of your business’? In the Private sector recruitment is an important strategy to remain competitive and making sure talented individuals are added to the team, as well as keeping the best performing individuals there. In a fierce job market it takes way more than the ‘usual’ perks to achieve this – and in a budget restrained environment some creativity. So here comes the silver bullet, a once ‘nice to do’ and often overlooked add on function to an existing role – Health and Wellbeing. Free fruit, the odd exercise class, communications around health (still a good start), has now evolved into a more stand-alone function that has the ability to span every business function. And why. Because it is about people. There isn’t anything else that has the ability to make people feel safe, invested in and cared for than health – something important to us all on an individual, family and social level. Providing opportunities around Health and wellbeing beyond just health insurance, cash care plans and clinical services (all great benefits) focused on a preventative agenda is key. Inject this with a little fun, incentives, benefits, engagement and opportunity and you have an all singing all dancing brand. And what has brand got to do with Health and Wellbeing? Let me offer an example. Say you are a B2B (business to business) operation. Very well established in your sector, a ton of credibility but little face/brand voice in a B2C context (business to customer). An active employee H&W programme offers links locally, involves you in networks otherwise you wouldn’t be in normal business operations and provides a carousel of content and human interest stories so important to marketing strategies. Perkbox area great example of brand building specifically positioning themselves at the tech savvy young graduate with a cool chic feel employee experience, placing emphasis on rewarding high performance with active culture, incentives *& rewards and buzzing social scene. As a fresh graduate why would you not gravitate to the perkbox brand rather than the Local Government bland brand? Swinging this article around full circle remember recruitment? Branding. Whether B2B, B2C or Local Government what your employees say, are involved in and have access to will speak volumes to perspective candidates seeking work. H&W is an important lever to push your recruitment and Employer presence across social media that has enormous power. Millennials have different expectations. Physical workplace, chill out zones, nearer to home (less travel), flexible and remote working, perks, social connectivity and of course the ‘gig economy’. All important consideration in HR strategy. The gig economy could be a freelancer servicing many contracts (I work this way), H&W connects me to my contracts and workplaces giving a sense of ‘collectiveness’ to remote working. What comes with remote working could be ‘disconnect’ in terms of face to face situations. If business can be performed at home, in a coffee shop or on the go – is health and wellbeing activity the sticking glue in connecting that person back to the physical workplace whether social opportunities (think weekend walks / opportunities for family events provided through work)? I get some of my greatest engagement putting events on outside work that includes family friendly activities e.g. an event I have held 4 times at the UK’s largest Indoor inflatable park – Jump inc’flatable. A fun environment for employees and families to have access to the park exclusively – the feedback is great and it provides an opportunity to communicate the other H&W offerings. Now focus on ‘exclusivity’. Another BIG LEVER. What you as an employer offer others don’t. That offer keeps people. Not wanting to let go of something you feel is important to you. Friends and families comment on your workplace activities and what you have available to you – it instills a sense of pride. And with National Health and wellbeing awards bringing the industry’s leading best practice examples and rewarding innovators the likes of RSPH REBA have two excellent days dedicated to learning from others and a top awards night for H&W in the workplace. To conclude I didn’t want to write yet another article purely on key sick absence causes or trends – we know these, the evidence is clear, return on investment projection statistics available and credible business case support all over the internet. What I wanted to touch on is the other opportunities that an active H&W programme and offer has to employers. The links with business strategy, recruitment & retention and the ability to shape positive employee experiences that appeal and resonate with differing employee expectations. A broad and flexible workplace offer that can be tailored to individuals and accommodate current and emerging working practices is something H&W programmes have the leverage to shape and bring business benefits far wider than just reducing sickness rates. Think wider. 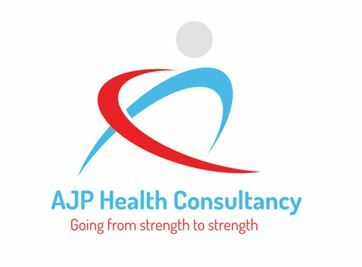 Workplace Health Lead and independent consultant. Workplaces leave us exposed to certain conditions / environments for long periods of time over our lifetimes. This accumulative effect of repetition can leave us vulnerable – the same thing, over a long period of time across years and years. Been born and raised in an ex mining area South East of Wakefield the accumulative effective of my Grandads’ work exposure (down the pit) was respiratory; COPD which ultimately took his life. It is an obvious link to make when looking at the mining environment, dust and little protection against the environment in terms of PPE etc. We didn’t have the knowledge we do now. We are now armed with so much more knowledge than years gone by and our work environments have improved dramatically from health and safety processes, safety equipment in more manual jobs to plush offices with lots of great facilities. In a service economy we know that a lot of our work consists of sitting down for long periods of time. Married up to an inactive lifestyle outside of work this provides the perfect storm for negative health consequences to settle in. The average UK Worker according to a survey by AXA in 2017 revealed on average we sit for 9 hours day. That’s the equivalent of flying long haul to Barbados (4208 miles from the UK) – EVERYDAY. Imagine a day in the office is equivalent to a long haul flight 5 days a week when we know all about the danger of sitting down for long periods in flight. Space can tell us something too and NASA have some great literature on the effects of limited movement without gravity has on the body. Without this magical resistance around us called gravity the body suffers quite substantially. Yet if we don’t move enough on earth we are replicating these negative effects in Space over a longer period of time e.g. muscle loss. (3) NASA found that maintaining strong muscles is a big enough challenge on Earth. It is much harder to do in space where there is no gravity. Calf muscles biopsies before flight and after a six months mission on the ISS show that even when crew members did aerobic exercise five hours a week and resistance exercise three to six days per week, muscle volume and peak power both still decrease significantly. Working with the strength for life team in Sheffield there is a huge evidence base telling us that maintaining muscle mass through loading up the body with weights (controlled and progressive weight training appropriate to the individual) is a huge asset in your arsenal against illness, recovering from illness and quality of life later in life. Simply moving acts as a conditioning tool for whole body systems – too many to list. Be rest assured the evidence is irrefutable and those small regular moving habits within your day are key to improving health and fighting against our inactive lifestyles. Walking over to your colleague’s desk instead of using instant messaging etc all help. Lunch time walks and walking meetings are culturally hard to get in to the habit of doing but are so important. Braun Medical in Sheffield have embedded physical activity into their employee wellbeing programme helping them foster a cultural movement amongst employees to be conscious of moving more. On the business side of things it helps make a dent in absences due to inactive lifestyles but also acts as key indicator of investing in staff and health. The NHS (2) is also churning out information linked to sitting down too much. The NHS knows that by reducing incidences of conditions directly attributed to physical inactivity (e.g. diabetes) it can prevent an influx of hospital admissions and reduce resource / financial spend. The difficulty is where does the responsibility land? Many would argue the individual – and to some degree that could be a valid answer. But factors such as built environment, technology, convenience, the way we travel and commute and our external stressors all play a part in our choice to be more active. Move More (1) is Sheffield’s plan to become the most active City in the UK by 2020 working with partners such as Sheffield Chamber of Commerce, Westfield Health, Sheffield City Council, Sheffield Teaching Hospitals, National Centre for Sports and Exercise Medicine and a network of partners. It works across every sector including the business community, Education, community and acts as a lever to influence the way the City develops around embedding physical activity opportunities in everyday life. Other initiatives have seen love to ride (7) and Inmotion (6) – a travel project – work with business specifically on supporting more active travel commutes to help build cycling or walking and public transport through local campaigns such as “little Big changes’ and the love to ride prize based cycle challenge. Sheffield business can benefit from International expertise around this key public health priority by getting involved in the move more plan, receiving support through myself working in the City, gain access to resources and additional bespoke move more health products, services and resources. The City wants to move more, we want you to move more and your health wants you to move more. Sheffield a City together in activity. For one thing — sorry, but we have to go here — the data suggests that a high resting heart rate (RHR) is a strong predictor of early death. According to the Copenhagen Heart Study, for example, you’re twice as likely to die from heart problems if your RHR is 80, compared with someone whose RHR is below 50. And threetimes as likely to die if your RHR is over 90. The world’s strongest junior will bare his biceps to pull a double decker bus along the 100m track at Sheffield Olympic Legacy Park. To celebrate the city’s Move More Month, strong man Paul Smith – the youngest person to hold England’s Strongest Man title in 2016-2017 – will haul the 12-tonne vehicle along the track in the centre of the park. Paul Smith, 24, from Sheffield, is one of Ultimate Strongman’s Junior Competitors. He won the U23 World Championship in Canada against a strong line up of competitors from all over the world. The Move More event will take place on Friday 15 June at Sheffield Olympic Legacy Park, Attercliffe Common, with two bus pulls at 12.30pm and 1.30pm. There will also be a weightlifting display by Sheffield’s Hallam Barbell Weightlifting Club and the chance to try out the sport. Members of the public can take a Power Test Challenge on one of Wosskow Brown’s special Watt Bikes – ride the bike for a 10 second burst and the dial on the bike will give a measure of ‘power’. Specialists from SIV will be on hand to provide information about health and wellbeing opportunities, activities and events in the local area, including sessions at the English Institute of Sport Sheffield and iceSheffield, both part of Sheffield Olympic Legacy Park. The third annual Move More Month is encouraging the people of Sheffield to get active and record their physical activity during June to see how many combined minutes the city can clock up. Movements can be logged on smart phones by a new and free Move More Sheffield app. Once downloaded, the app automatically tracks activity and clocks up users Move More Minutes. It’s part of a bid to make Sheffield the most active city in the UK by 2020. Sheffield Olympic Legacy Park is one of a number of locations across the city where the public can play Move More hopscotch. For more information, visit www.olympiclegacypark.co.uk, follow @OLPSheffield on Twitter, like our Olympic Legacy Park page on Facebook or search Legacy Park Ltd on LinkedIn. Interview, photos and filming opportunities will be available with strong man Paul Smith, plus directors of Move More Month. Journalists can ride on the bus while it is being pulled. Sheffield Olympic Legacy Park is a 2012 Olympic Legacy hub for health and wellbeing collaborative research and learning. Legacy Park Ltd is a joint venture between Sheffield Hallam University, Sheffield Teaching Hospitals NHS Foundation Trust and Sheffield City Council, created to deliver the Sheffield Olympic Legacy Park. On the 60-acre Sheffield Olympic Legacy Park is the English Institute of Sport Sheffield (EISS), iceSheffield, Altitude, Don Valley Bowl, the Advanced Wellbeing Research Centre (AWRC, Oasis Academy Don Valley, UTC Sheffield Olympic Legacy Park campus, 3G pitch, Indoor Arena, Stadium, Hotel and park environment including 100m sprint track, Outdoor City Run Route cycle paths and green open spaces. Sheffield Hallam University’s Advanced Wellbeing Research Centre (AWRC) is set to create innovations that will ‘improve the health of the nation’, tackling key issues such as static levels of physical activity, rising obesity and mental health whilst also attracting new jobs and investment to the region. The £3.5 million Park Community Arena will be the new home for the Sheffield Sharks basketball team and MLS Contracts Ltd. The multi-purpose, indoor facility will have three courts and seating for up to 2,500 spectators. Oasis Academy Don Valley, an all-through inclusive Academy for children aged 2-16, opened on the Sheffield Olympic Legacy Park with its first class in September 2015. The Academy will grow year on year until it reaches full capacity in 2021. University Technical College (UTC) Sheffield Olympic Legacy Park, part of the UTC Sheffield Academy Trust, is a college for 13 to 19-year olds, specialising in Health Sciences, Sport Science and Computing. Students can start in Y9, Y10 or Y12 to study a combination of GCSEs/A Levels and a technical specialism (OCR Cambridge Technicals and Nationals). Sheffield Olympic Legacy Park will become a research hub for Sheffield’s new National Centre for Sport and Exercise Medicine using physical activity as medicine and the city of Sheffield as a ‘living laboratory’ for the testing of new innovations. Concept designs for the Centre for Child Health Technology and the Orthopaedic Rehabilitation Research and Innovation Centre have been developed by HLM Sheffield. Issued by HR Media Ltd on behalf of Legacy Park Ltd. For further information contact Ellie Morrell, Martin Ross or Laura Metcalfe at HR Media on 0114 252 7760.